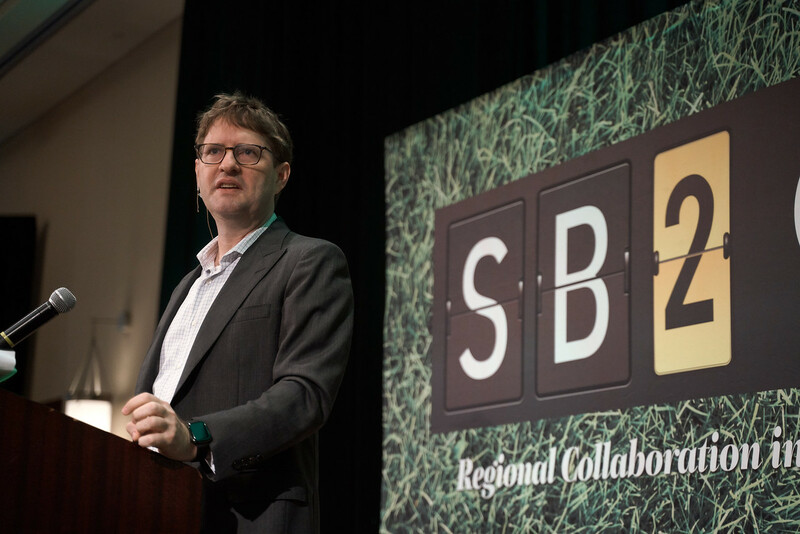 On Thursday, January 24, 2019, SRQ MEDIA held its first SB2 symposium of 2019, State of the Regional Economy. 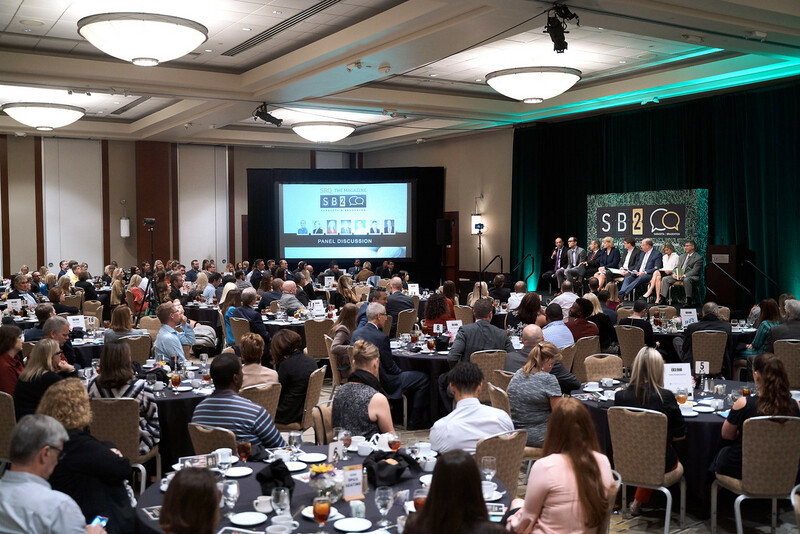 An audience of over two hundred community members gathered at the Hyatt Regency Sarasota to learn about the overall economic health of the region from a strong group of community influencers. As the panelists and presenters discussed topics ranging from tourism to workforce development, the message that our region must be supportive of local businesses resonated throughout the program. The SB2 State of the Regional Economy presentation was the perfect setting to celebrate local business owners who are truly living the mission of working and living locally to fuel the regional economy. SRQ MEDIA’s Localpreneur of the Year program recognizes entrepreneurs who are driving successful, locally-owned businesses with purpose and passion. SRQ MEDIA received hundreds of nominations for this year’s Localpreneur of the Year Competition from the community. Out of the nominations, over thirty honorees were selected. These individuals have earned the respect of their peers in the following areas: corporate acumen, innovation, philanthropy, leadership and community impact. SRQ MEDIA is pleased to announce the five 2019 Localpreneurs of the Year: Kelly Ison, Einstein Pets; Paul Mattison, Mattison’s Restaurant and Catering; Candice McElyea, One Eight Oh PR; Pete Petersen, Dealers United; Brett Wallin, Walt’s Fish Market and Restaurant. Our first awardee was Kelly Ison, CEO/Director of Happiness of Einstein Pets, a socially responsible, innovative company of original dog treat products. Ison’s business model for Einstein Pets is delivering happiness by feeding the world’s dogs the purest, most heart, healthy and cleverly crafted natural treats. Keeping the company community oriented is important to Kelly. She has partnered with local organizations like Arc Sarasota, Westie Rescue, and the Brittany Foundation to support pets in need. Kelly Ison of Einstein Pets and SRQ MEDIA’s Lisl Liang. Photo by Wyatt Kostygan. Next, we recognized our second winner, Paul Mattison, Owner and CEO of Mattison’s Restaurant and Catering. Mattison’s Restaurants and Catering has close to 100 full time employees and 100 part time employees. Through his work with Niman Ranch, Mattison has earned the title of ‘Honorary Hog Farmer,’ a nod to his interest in serving serving humanely raised, antibiotic-free and hormone-free meats. Paul Mattison of Mattison’s Restaurants and Catering and SRQ MEDIA’s Lisl Liang. Photo by Wyatt Kostygan. Alicia King Robinson and Kate Ritz of One Eight Oh PR. Photo by Wyatt Kostygan. The last and final 2019 Localpreneur of the Year award was given to Pete Petersen, CEO of Dealers United. Dealers United helps dealers improve their dealerships primarily through online and digital advertising but also through group buying power. Petersen’s entrepreneurial ingenuity has helped him keep Dealers United company moving forward in a market of evolving technology. Committed to the local economy, Petersen is proud to have initiated an HR process to streamline employee retention and has invested his time and talent into the community as an educator at the University of South Florida. Pete Petersen of Dealers United and SRQ MEDIA’s Lisl Liang. Photo by Wyatt Kostygan. Congratulations to all five of our hard-working Localpreneurs of the Year! We are proud to have you as drivers of the local economy. As we learned from our SB2 State of the Regional Economy program, it is essential to grow business in our local region. Doing business in this region while giving back to the community maintains our economic vitality and brings talent and innovation to the Bradenton-Sarasota area. Best wishes for a successful 2019! We also extend our congratulations to our honorees and nominees and recognize them for their inspiring contributions and hard work. The SB2 audience at host sponsor Hyatt Regency Sarasota. Photo by Wyatt Kostygan. Special thanks to our incredible sponsors: SB2 host sponsor Hyatt Regency Sarasota, and audio visual sponsor PSAV. Thanks for being excellent hosts. We also extend thanks to our incredible sponsors: 2018-2019 series sponsors Mariash Lowther Wealth Management and JFCS of the Suncoast, and to our SB2 State of the Regional Economy event sponsors, The Resort at Longboat Key Club, Waterworks Sarasota, Seaside National Bank & Trust, and Firmo Construction. Don’t miss our next SB2 symposium, Transformative Philanthropy on Thursday July 25, 2019. We’ll explore the organizations and individuals who are changing the face of the nonprofit world through innovative approaches, strategic alliances and groundbreaking initiatives that foster and employ engagement to make a difference. You can purchase your tickets in advance HERE. Click here to read the article about SB2| State of the Regional Economy in the SRQ DAILY. A gallery of images from the 2019 Localpreneur of the Awards is available online here. For tickets and other event inquiries, visit SRQSB2.com or contact us at 941-365-7702 x221. To become an SB2 series sponsor or a specific symposium sponsor, contact Ashley Grant at 941-365-7702 x205.